Volume 13 in full effect. On tap: UFO, Rebirth, Jamiroquai, Ronny Jordan, Collective Peace, Electric Wire Hustlers, Slakah THe Beatchild, Anthoiny Valdez, Repercussions, Inner Shade, SOS, The Family, Workshy, Dee C. Lee. Anyone who asks you will tell you that it’s rare when I listen t radio stations, but when I do, one of my alltime favorites is WCLK- Jazz Of The City, whch keps me going every day w which makes these podcasts easier to put out. From United Future Organization from Japan to Dee C. Lee from England, this became more global when reinforces the fact that music is universal. The things I am hoping you will notice in the mix is the bea that was the scrath that was used in “Love Squall,” the quirkiness of Swing Out Sister andSlakah THe Beatchild, the funk brought to you by The Family, and the arrangement of the Dee C. Lee track which is quite subime. 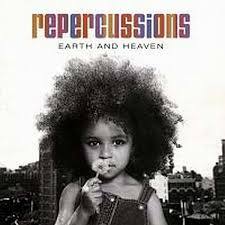 Repercussions “Turn Your Card” was chosen because the album “Earth And Heaven” was relayed to me from a friend almost 10 years ago and was no small feat to find. The track “Turn Your Card” has a special place in my heart. Shoutouts go to Ricky, AR, Ronald, Mr. Fresh, and Kat. Hope you enjoy. Got requests? Comments? Need to vent? Send an email to ejflavors at gmail dot com. Take it light. …and I’m back after a week of some mishaps, but I’m glad to be back, with a new backdrop. The music is still there, but there’s a few adjustments that need to be made. Check the details out here – and while you’re doing that, download and listen to the tribute to Jean-Paul “Bluey” Maunick. Bluey, Volume 1. [Click to play or right click-save as to download. Balancing between real life and putting together is of course a very challenging act but worth the effort. Jean-Paul “Bluey” Maunick is a man of many faces. He is primarily known for creating and nurturing the band Incognito, but has also been an instrumental voice with the bands Citrus Sun and Light Of The World. He has also worked with many acts, and because of this, cannot be contained to just one podcast. This mix contains, in addition to the bands listed above, Brenda Russell, One Nation, Maysa, Jocelyn Brown in Nights Over Egypt, Pamela Anderson in Roots (Back To A Way Of Life) and others which I haven’t mentioned here due to lack of time. Enjoy, and please remember, that there will be more volumes coming – believe me. Check out more information about Bluey here. Shououts go to JD and Emeka Okoye. With Acid Jazz blends, I decided to lift the phrase “Old School” off of it, since Acid Jazz is more of an underappreciated genre than one tht gets a lot of recognaition and airplay. It also allowed me to pull out more tracks. like The Rebirth, Koop, abd Reel People – gems that do not get the recognition they deserve. It helps being able to pull out some N’Dea Davenport and A Tribe Called Quest also. Good stuff. Shoutouts to Alana G, Macedonia, Hyps, TGrundy anbd Mr,. McCarthy for doin’ thir thing. Got requests? Send an email to ejflavors at gmail dot com. For those who’d like to subscribe to these podcasts, enter this link manually into iTunes. Take it light.